"In order to scale in the way that we have... we had to have partners who were as invested in our growth and success as they were in their own. ...And Oath has been one of those partners" - stated Bryant Garvin, Director of Digital Marketing, Purple. When Purple launched in 2016, it hit the ground running. The Kickstarter-funded e-tailer quickly became a serious player in the crowded, hyper-competitive mattress industry. Its smart, visually-driven ad campaigns have built a strengthening brand that people everywhere are beginning to recognize. 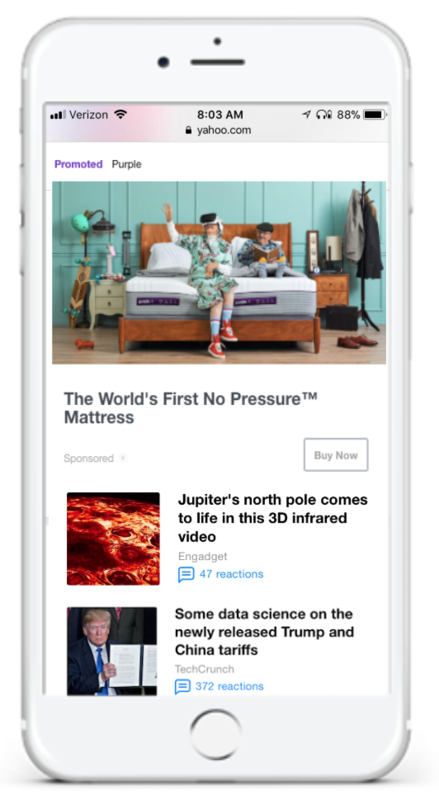 Recently, the company teamed up with Oath to run a video campaign to reach its target customers: anyone who sleeps. Purple has seen exponential growth, most of which has been driven by digital ad campaigns. Its primary objective is always to increase sales and conversion rates. The company also hopes to solidify its brand identity by creating good-humored campaigns that will form an emotional connection with potential buyers, moving them down the funnel to purchase. "We call ourselves a video-first company. And the reason why is because video taps into people's emotions, and emotion is really what drives purchase consideration" - stated Bryant Garvin, Director of Digital Marketing, Purple. Though Purple has used a variety of digital tactics, it sees itself as a "video-first" company. It knows the value of tapping into the emotions of potential buyers, and videos do it best. Oath suggested that they experiment with videos of various lengths, including a brand new 6-second option, which allows for quick brand mentions that don't annoy viewers. These videos would complement its other digital efforts with Oath, which include homepage takeovers, Mail log-in takeovers, and native display ads. Purple's video campaign blew Oath benchmarks out of the water. Engagement with video ads on desktop exceeded norms by 80%, while video on mobile devices and tablets exceeded norms by 38%. Oath's platforms and BrightRoll technology ensured that Purple targeted visitors on a slew of popular websites, and also re-engaged people who had previously visited its site. Retargeting initiatives on Oath outperformed Purple's retargeting goals by 400%. Despite achieving powerful results together, Oath and Purple don't plan to sleep in on their success. Instead, we expect this partnership to continue innovating throughout 2018 and beyond. 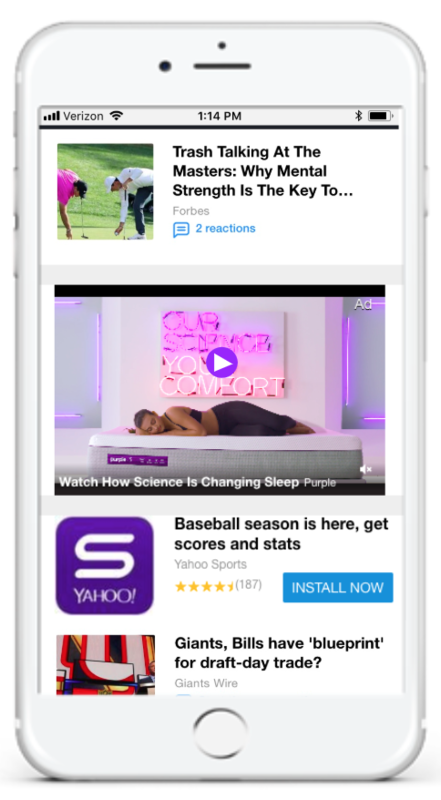 For more information on the Purple Mattress campaign check out our article on DMN or discover more about Oath's native and video solutions.